Under the auspicious presence and support of Her Excellency Madam Cécile Longé, The French Ambassador to Bahrain, Bahrain Fashion Incubator (BFI) represented by its co-founders Mrs. Jalila Aarab and Mrs. Lamees Qasem, met with leading figures and pillars of the French Fashion Industry in Paris, France. The meetings were held with Mr. Christian Blanckaert, President of Christian Blanckaert Management and Former Executive Vice President of Hermès International and Chairman & CEO of Hermès Sellier, and Mr. Pascal Morand, Executive President of the Fédération de la Haute Couture et de la Mode, the leading fashion federation responsible for the promotion of French brands, Fashion culture and international development in addition to organization of Paris Fashion Week. 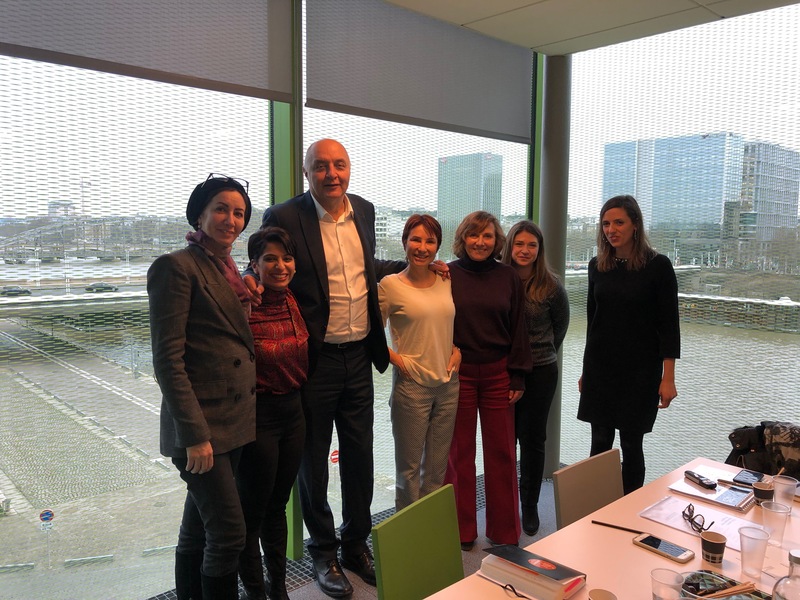 BFI also held a fruitful meeting with Professor Helene Kassimatis, Deputy Director of Executive Education at Institut Français de la Mode (IFM) the leading Fashion Design and Fashion Management Academic Institution in France and the world. The meetings which were organized by Ecole Supérieure des Affaires (ESA) Business School and represented by Ms. Cheryl Mattar and Mrs. Sandra Aboud, focused on discussing collaboration initiatives between BFI and the French institutions and figures for its pre-incubation program (Dilmun Star), incubation program (Designer in Residence) as well as developing customised academic programs to be held in Bahrain and France for the benefit of building a fashion eco-system in Bahrain and the GCC region.